Founded in 2013, BuildMyViews is a USA-based social media marketing provider that only offers promotional services for YouTube. The company is most known for offering high-retention YouTube views that are delivered through organic methods. Their website has an intuitive and user-friendly interface. The ordering process takes a few simple steps to order any service, even adding customization options to purchase targeted views during checkout. Payments can be made via PayPal or credit card. Their customer support can be reached through email and live chat. Furthermore, the company has a 100% money-back guarantee in case they fail to properly deliver the order in the intended timeframe. They also provide a 30-day retention warranty in case any of their social signals drop. The company doesn’t have a satisfaction policy. 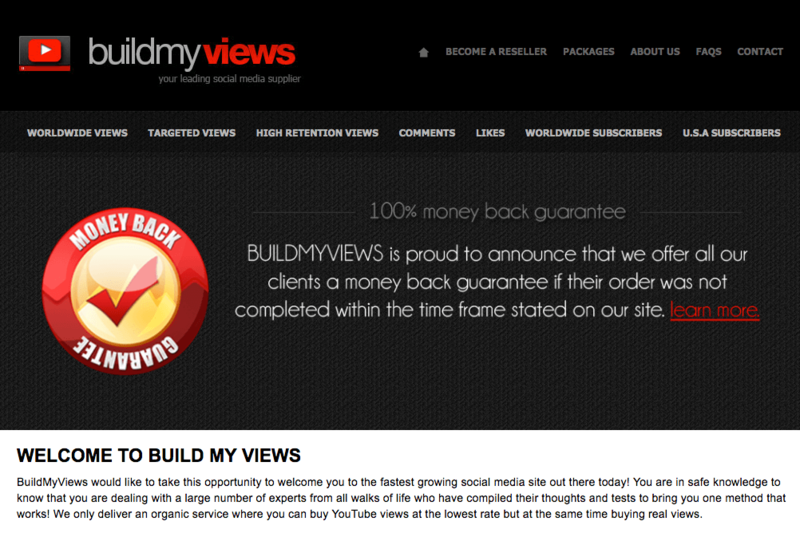 We liked how BuildMyViews allows you to choose from a vast specter of YouTube services. They seem to pay close attention to retention rate, which is a big deal for serious YouTube creators. They have quality customer protection policies and good customer support options. 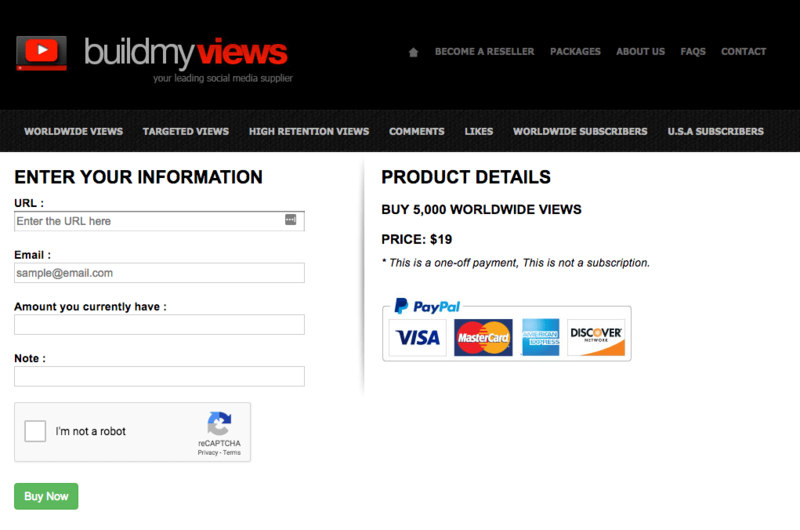 They also allow users to make custom plans and order targeted views. They could work on providing a better refund policy, but all in all, we like pretty much everything about this provider. What do you think of BuildMyViews? Anything that you liked or disliked in particular? Share your thoughts with us by submitting a review below.